The principle behind insurance is straightforward, according to Patrick Vice, partner at Insurance-Canada.ca Inc. The principle behind insurance is straightforward, according to Patrick Vice, partner at Insurance-Canada.ca Inc. People consider a risk factor, such as the loss of property or an automobile accident, and pay an insurance provider a certain amount of money with the "understanding that if something bad happens, they will be compensated," he says. New technology can challenge the models insurance companies rely on, says Vice, giving the example of driverless cars. "With a conventional vehicle, if you get into an accident, odds are someone is at fault," he explains. "If there's an insurance payment and you're at fault, then your premium will go up." 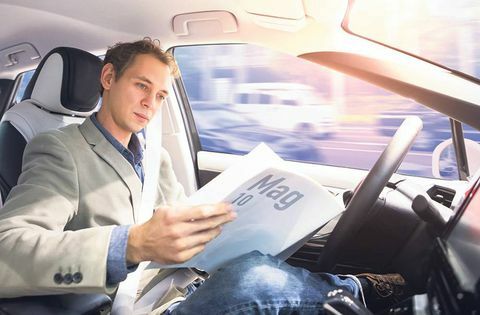 "With an autonomous vehicle, you don't have a driver, so this will change the way insurance providers calculate the risk," he says. While crash avoidance technology promises a reduction in accidents, insurance providers expect manufacturer liability to increase while personal liability is likely to decrease due to the absence of a driver or operator. Yet the range of companies advancing autonomous vehicles – and the integration of technology from an even greater number of suppliers – may make liability difficult to ascertain, believes Vice. "In the past, there were a number of factors to consider, technology among them. But now insurance companies need a better understanding of how technology works, because the nature of the risk is not as easily sorted out."